Four days on from the Autumn Equinox and the weather is set fair for days of sunshine and overnight cold; last night we had a ground frost sugar dusting the grass in the valley. Leaves are turning to rich colours, the trees dropping their summer growth to open up the views through the woodland where spider webs trail across the trees and in the field early morning sheep trails through the dew show their grazing paths. 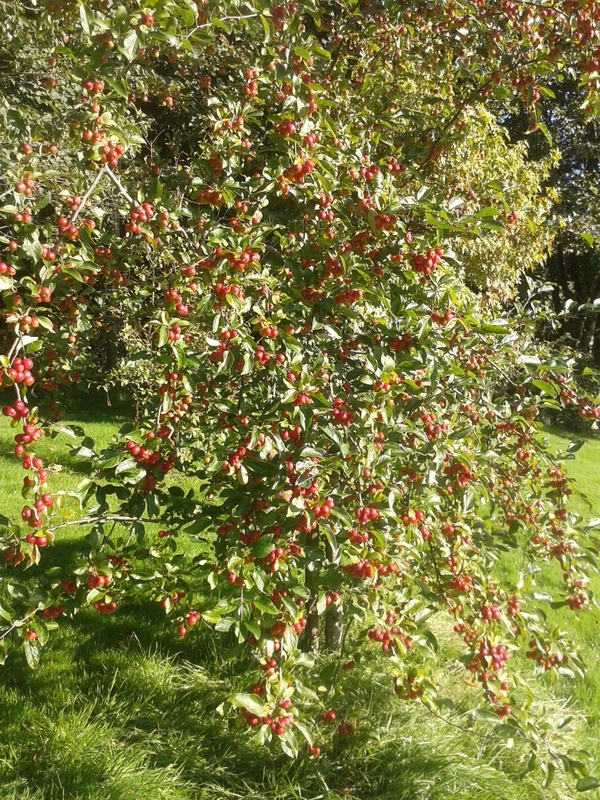 A good harvest of crab apples is weighing down the tree boughs. 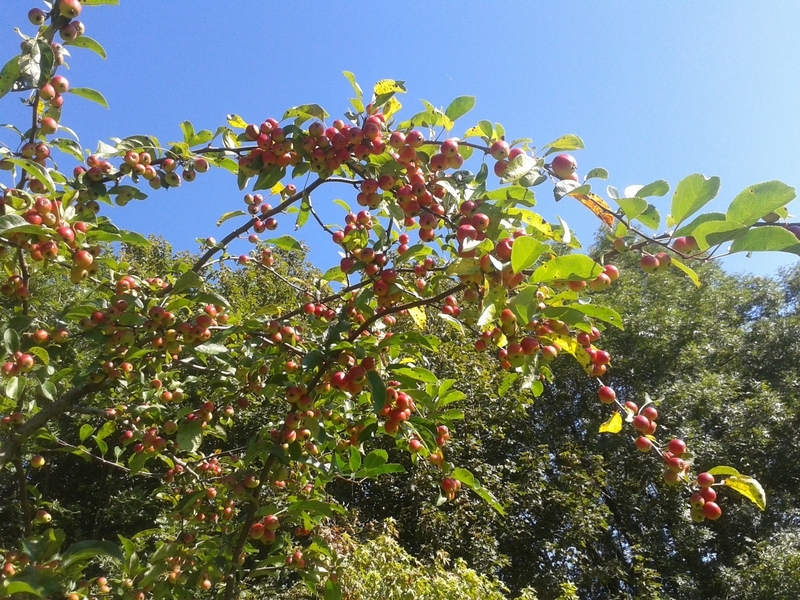 I think we can claim these last days of September – and hopefully the first few in October – to be an Indian Summer. The phrase is nothing to do with the colonial days of the Raj, but the fine autumn hunting and cropping prairie season of the Native Americans and the First Canadians. Skeins of geese fly over in the early morning , some in tens, other close on a hundred, moving up from Wimbleball to glean the harvest fields and return as the sun heats the day for the large birds to loiter on the lake shore. And where are the swallows? Only last week the last brood, maybe the third brood, was on the wing delighting round the barn. This morning there is no sign of them. Safe away brave birds and safe return next April from your African winter. In the early hours of Tuesday MONDAY – I got it wrong! -we must watch the moon as it is eclipsed in the earth’s shadow turning dust red and the full moon pulling major tides onto our shores. 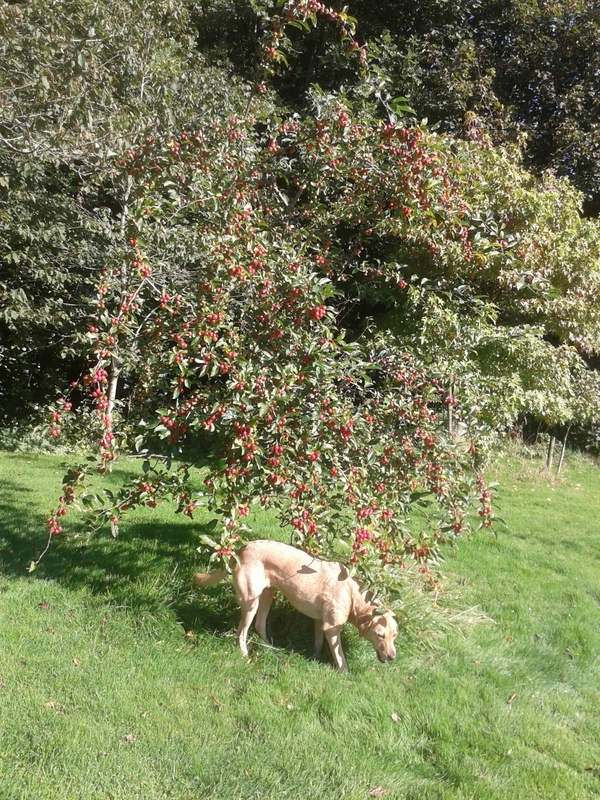 And it isn’t only small boys who go scrumping for apples. There is so much happening, can we forget – or forgive – the wet summer and hope for a mild winter?